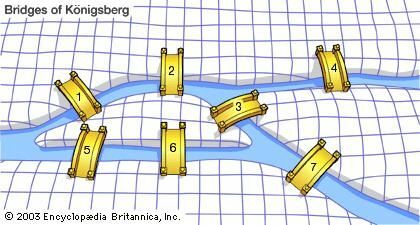 In the town of Königsberg, there are 7 bridges going to two islands in the town, as shown in the diagram below. Is it possible to cross each bridge exactly one time? If so, how many ways can this be done? Remember to send all answers to allgirlsmathtournament@gmail.com.